Whether you have practiced yoga for many years or are looking to start out, Om Yoga Northwest is here for you. Everyone living in Lake Stevens will be able to find a class to suit their needs, as well as gear and clothing. Several different styles of yoga are taught, and there are six different instructors, so it will be easy to find something that works for you. New students can purchase the $30 pass, which is good for 30 days of unlimited classes. It’s a perfect way to discover what suits your needs. Another great pass is the Get Started Package, which includes a private session as well as unlimited access to classes for a month. It’s $79. New students can also opt for a pass that gives them four private sessions for $160. Once you’re a regular, there are several choices for passes. The Om Tribe Monthly Auto Pay is $79 and gives you access to unlimited classes, as well as discounts on wellness services, outdoor adventures, and studio rental for events. There’s also a six-week pass for prenatal yoga, a 10-class pass, and a kids 10-class pass, among other choices. You don’t have to worry about purchasing a lot of gear or specialized clothing before your first class. Dress in comfortable, breathable layers. Be sure to wear shoes that slip on and off easily, as the studio is a no-shoes space. Feel free to bring a mat and water bottle if you have them. If you don’t, Om Yoga has mats for class use and water available. 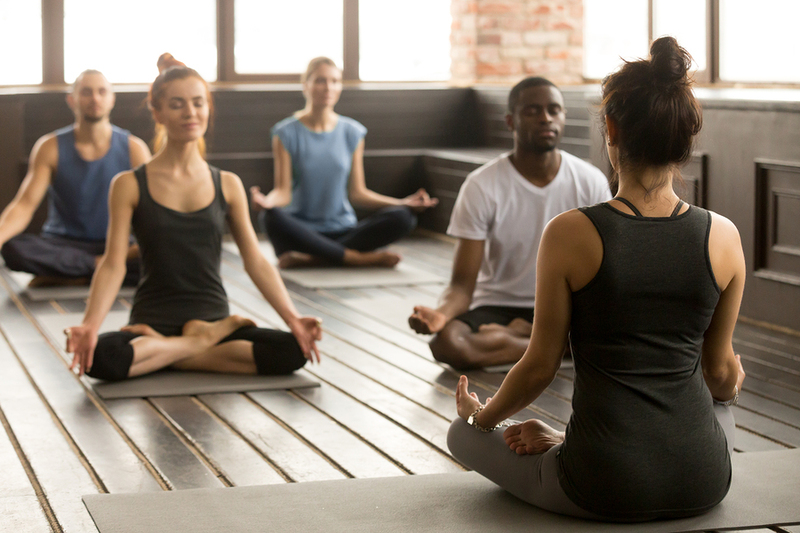 Not only does Om Yoga Northwest have a full schedule of yoga classes, they also offer workshops and events to help people living in Lake Stevens deepen their yoga practice. On Friday, September 21st, come for Mudras and Mantras. Instructor Nikki will give a discussion of bhakti yoga with a meditation practice. The event begins at 7:30 p.m. It’s free, but donations are requested. Reserve your space online. Visit Om Yoga Northwest to learn more about the studio, purchase passes, find a class schedule, and sign up for events.